California is such a complex state that it’s often amusing when East Coast liberals try to explain it to us. The latest is from New York Times columnist Paul Krugman. His article appeared in the April 1 edition of the Times, so maybe it’s an April Fool’s joke. Actually, there was no “deregulation,” only a different form of regulation that was worse, as I wrote in about 50 editorials in the Orange County Register as the crisis unfolded. There was no “market” to manipulate, only a rigged scheme that Enron and others figured out how to exploit. And when the crisis hit, Gov. Gray Davis signed up for high-priced, long-term contracts that gouged ratepayers until they expired only recently. See what I mean? Krugman knows nothing of our state. Krugman does mention that, “Unemployment in California remains high,” but he fails to mention just how high it is. In fact, California is tied with Mississippi and Nevada for the highest unemployment rate in the country at 9.6 percent. Krugman says asserts that California’s “problems bear no resemblance to the death-by-liberalism story line the California-bashers keep peddling.” But he neglects to mention that California is home to one-third of all U.S. welfare recipients despite housing just 12 percent of all U.S. citizens. Despite all the welfare spending, California still somehow manages to have the nation’s highest poverty rate. Go figure. 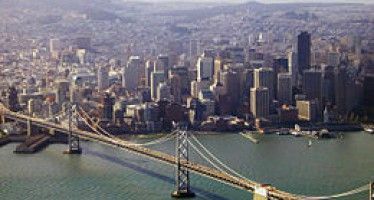 Krugman does mention that “serious studies have found very little evidence either that tax hikes cause lots of wealthy people to move or that state taxes have any significant impact on growth,” but he fails to mention that California’s taxes are not just high, but the highest in the nation. Seiler comment: Krugman doesn’t specify the “serious studies,” but he probably is referring to one last fall by two Stanford sociologists, not economists. I demolished that “study” here. Krugman also claims that “decades of political paralysis have degraded the state’s once-superb public education system.” And it is true: California’s public education system is terrible. In 2011, the state’s eighth-graders finished 48th in reading, ahead of just Louisiana and Mississippi, and 48th in math, ahead of just Alabama and Mississippi. 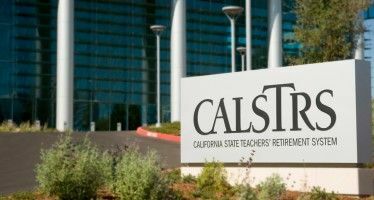 But California is not skimping on teacher pay. It’s teachers are the third highest paid teachers in the nation. Krugman does mention the state’s blackout problems in 2001, but blames the entire incident on “deregulation” and “market manipulation.” But California’s failure to build new power plants, refineries, pipelines, and transmission lines is very real. There is a reason California has nation’s the highest gas prices and the among the nation’s highest electricity prices, despite sitting on billions of barrels of oil. Credit Krugman for noting that California’s budget is only a “projected” one, but he then fails to mention how unreliable California’s tax revenue projections have been in the past. A recent California Common Sense study showed that, since the recession began, the governor’s projections have overestimated revenues by an average of 5.5 percent. Apply that average to Brown’s 2013 projections and California’s budget would suddenly go from $1 billion in the black to $3.9 billion in the red. Seiler conclusion: Krugman should come out to California and see for himself what’s going on. He should drive around Los Angeles and see the boarded-up storefronts, the crumbling roads, the vast underground black market of tax avoidance. He should go to the schools where half of students never graduate high school. He then should come to Orange County, where unemployment is 3 percentage points less than the state level — and where we have lower taxes and regulations than the rest of the state. But even here, thanks to high state taxes and city and county budgets raided to pay sky-high pensions, the roads are crumbling. Krugman should stop believing the propaganda emanating from Jerry Brown’s office, leave his ivory tower, fly out here and find out what’s really going on. Responding to Paul Krugman is well into the “waste of time” category. For liberals, he provides an authority figure on the subject of economics who can simultaneously be relied upon to deliver up old timey Keynesian bromides. He long ago ceased to be an empiricist, and whatever value he may have had long ago slipped into the abyss with it. 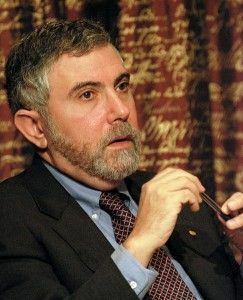 I wanted to post a link to this photo, associated with the November 10, 2012 Huffington Post article “Paul Krugman: ‘Modern GOP Is Deeply Anti-Intellectual,'” that shows Paul Krugman – index finger holding inclined chin – looking like a thoughtful intellectual in front of a Princeton University logo. It now says “This Image License Has Expired.” How strange. Were too many people mocking it on the web? I wish I could be an intellectual. Is there a college logo handy for some photos? You’d have to do some serious thinking before you could be an intellectual, no matter which logo you use. That’s not just “another East Coast liberal”, John…..
Not when you’re the liberal establishment’s number one pet economist. Krugman stands head and shoulders over former favored pet economist Robert Reich (admittedly not a difficult feat). A man whose Nobel is second only to Obama’s as “Biggest Nobel Prank of All-Time”. Winning the Nobel Prize in Economics is hardly the same as winning the Peace Prize, Jimmy. You may need to review the Nobel awards and selection process so you don’t look like a rube. Arrogance blinds intellectuals ro those who think they are. Krugman is but one fine example. He may have a Nobel Prize in Economics, but anyone who subscribes to the Keynesian economic theories that he spouts probably would have trouble passing third grade math. The numbers just don’t add up. Wait a minute…….CA’s unemployment is 14.39% according to Zuckerman’s Grand Illusion……..this includes those off the line and those under employed. You’re both wrong. Excellent article, but please rescind your invitation to Mr. Krugman, the LAST thing we need is another condescending blind intellectual telling us to drink the Kool-Aid. Never met an intellectual righty! I can’t find it, but the response to installing barge mounted turbines to alleviate black-outs was something like is that the best they can do. As deluded as the TeaParty is, at least one of them recognizes the truth. 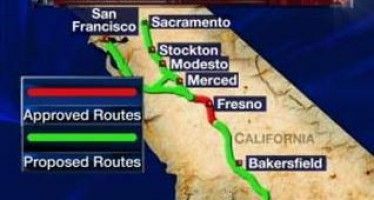 High-speed rail without federal money?